Found in Calixto's museum in Windhelm. 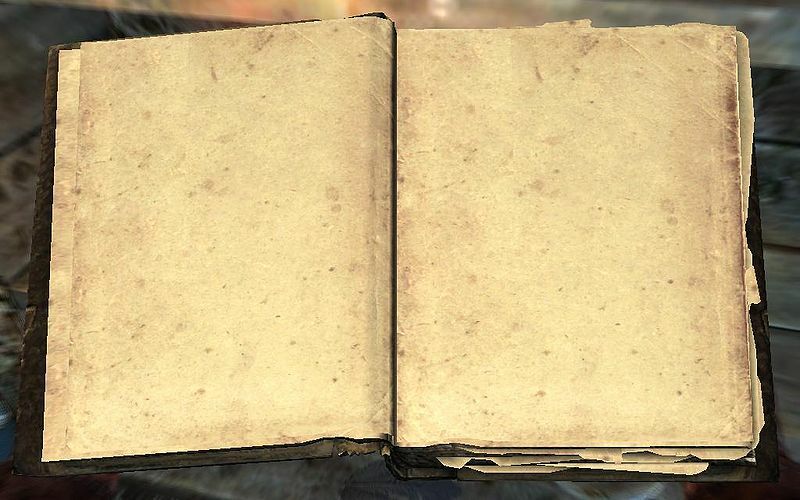 The book was apparently discovered within the Arcane University and the book's pages are said to contain the reader's fate, although it appears to be empty. During the tour given by Calixto, he mentions that some people find the book to be empty upon reading, and speculates that this may be caused either by the reader having no predetermined destiny, or by imminent death. The Dragonborn proves to be such a person; the book appears totally blank. It is not clear if this is because the Dragonborn has no preset destiny, as Calixto suggests, or because Calixto is lying and the book is actually totally blank. This page was last modified on 22 April 2018, at 02:12.